Fresh from the back of the digital marketing campaign Team Creative developed for Blackburn with Darwen’s exciting new Cathedral Quarter Blackburn development, we were approached by leading UK commercial property agency, Knight Frank, as the organisation looked to grow its own digital presence, focusing initially on their North West division. 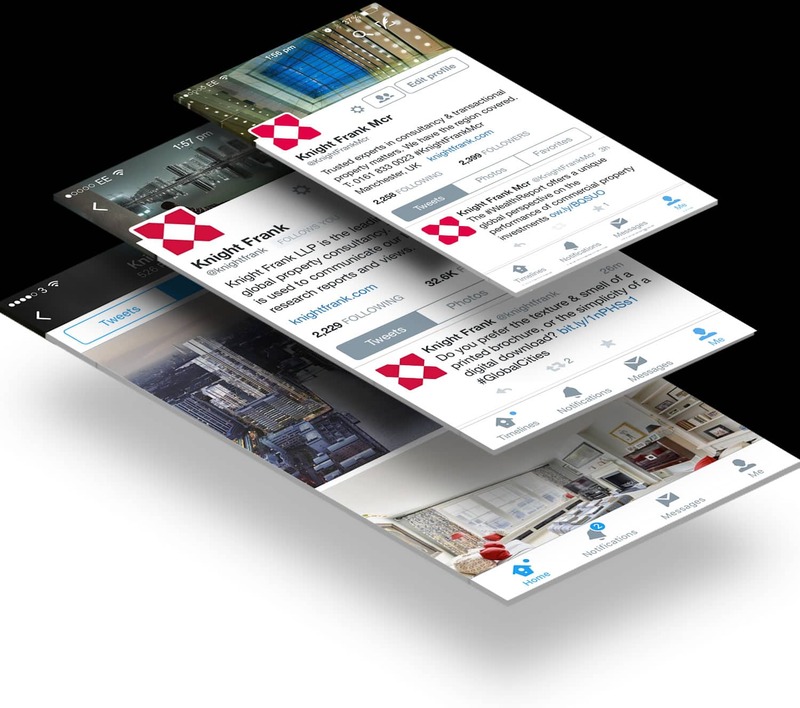 Knight Frank wanted to focus their new digital strategy around the social networking site Twitter where they have experienced great success in recent years on a national level, with their official account reaching over 32K followers to date. The North West organisation already had a slight existence on Twitter but by their own admissions, didn’t have a clear consistent strategy in place. Since the appointment of Team Creative, Knight Frank have seen their following rise by over 280% whilst becoming one of the region’s leading agencies online in the process. As an organisation it’s important that we continue to remain at the forefront of all modern communication channels, keeping us ahead of our competitors. Creativeworld have ensured that we do exactly that, their combination of management and knowledge of social media has seen our regional digital presence grow from strength to strength in recent months. 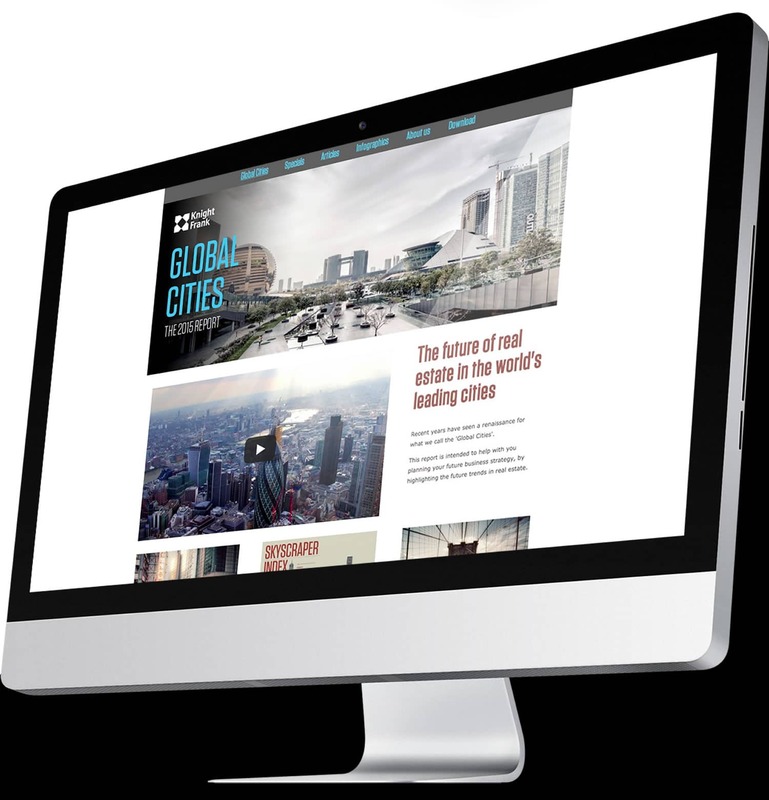 Commercial Property agencies all over the country are starting to take real note of the importance a strong digital presence can have on their own business growth, on both a regional and national level. Having a clear and cohesive social media strategy behind you can really help in the development and marketing of an agency’s opportunities and new offerings.